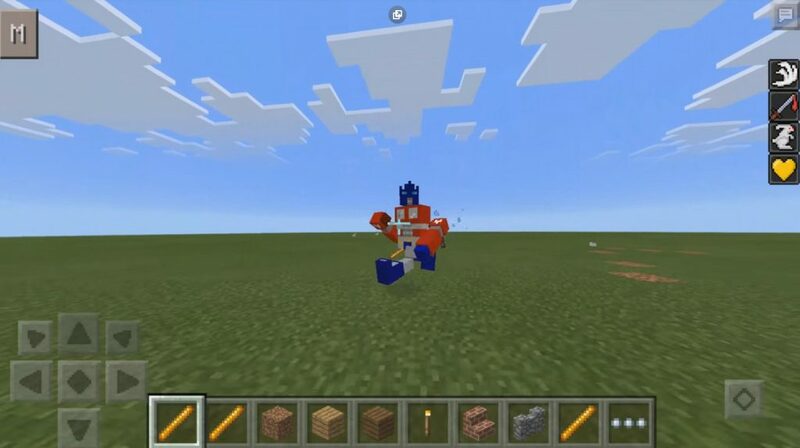 We suggest that you try the Transformers mod, because it will significantly decorate your existence in the MCPE. He will add to the game two new robots that can transform. One will be rebuilt in a shooting car, and the second in a large helicopter firing missiles. And you can even sit on one of them. Now let’s talk about how Transformers works, and how to create such transformers. The first robot is called Optimus Prime. This is a friendly mob that lives in a big village. Or build it yourself as well as build an iron golem. Yes, they have now changed. This mob for Minecraft Pocket Edition 1.0 has 300 lives and 30 attack pieces. It is on him you can sit down and manage it. The main thing is to take a fishing rod and a carrot in your hands, this will help you manage it. He looks, of course, just divine. The second robot is called Blackout. And here it is, and will be hostile to you. He is very strong. You can find it anywhere. Yes, and he will find you in the most unpredictable moments. 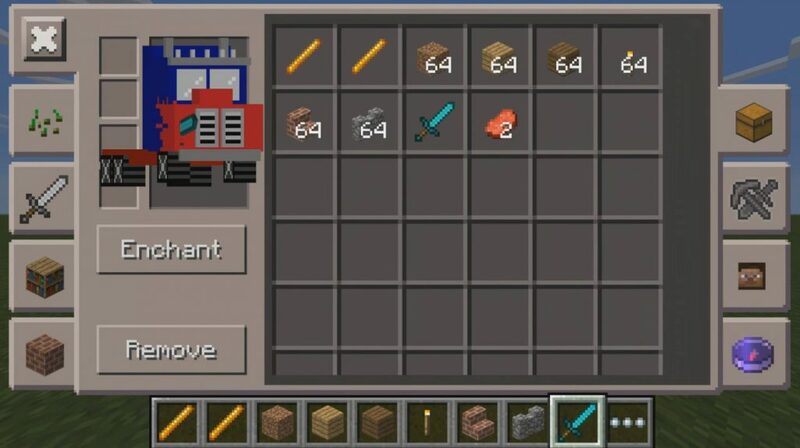 He replaces the creeper in the game, precisely because he will be everywhere. Rebuilt into a helicopter that will launch strong missiles. You can arrange a fight of these two giants. One of them you can even manage. It will be very hot. 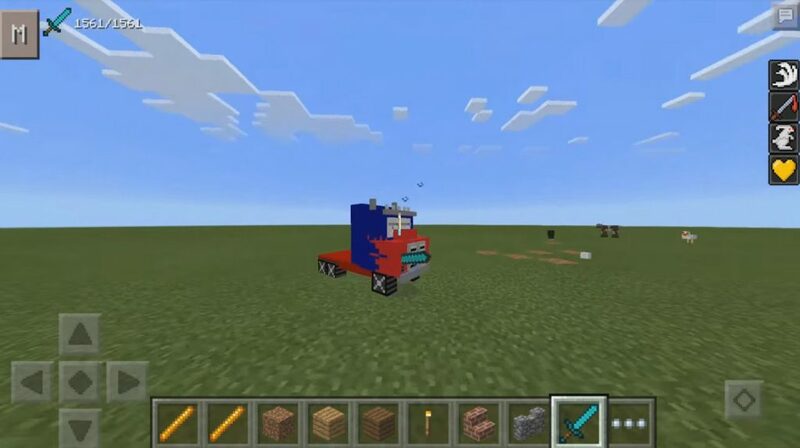 Download Transformers mod for Minecraft 1.0.5, 1.0.4, 1.0.3, 1.0.0 for free, and with it a lot of impressions that you will never forget later.